The SLR Max Gel Flow saddle is an expensive but quality option that seems more at home on a road bike. Its been years since any of our testers used a Selle Italia saddle on their mountain bikes, and they are pleased to see that this legendary brand's commitment to quality and comfort hadn't changed. Testers found the SLR Max Gel Flow to be a very comfortable saddle, with a nice shape, thick medium density padding, and a generous anatomical cutout to keep pressure off and blood flowing to your most sensitive parts. Extended periods in the saddle were nothing to fear, and this saddle found itself switched between our mountain and road bikes regularly. Testers were a little less impressed with the saddle's weight for the price, white color which is prone to discoloration, and lack of tail protection for the seat cover material. This saddle is certainly usable for mountain biking, but if it were ours, we'd probably mount it on the road bike and leave it there. When it comes to quality cycling products, the Italians have got a lot of things dialed. Selle Italia has been in the saddle game for about as long as anyone can remember, and they are known for making high-end products with the quality and performance to match. It had been years since any of our mountain bike saddle testers had thrown a leg over a Selle Italia saddle, so we were obviously excited to see if it could live up to our expectations. The SLR Max Gel Flow is the most expensive saddle we tested by $65, so this gave us a chance to compare a more expensive saddle to the assortment of less expensive models in our test selection. Read on to find out how it compared to the competition. The SLR Max Gel Flow did have a good shape that allowed for good freedom of movement. There's no doubt that the SLR Max Gel Flow is a comfortable saddle. With decades of experience making some of the finest and most expensive saddles on the market, Selle Italia has learned a thing or two about comfort. It didn't take top honors in this metric, but it was right up there among the best in our test. First, the shape of the saddle is great for people with medium width sit bones at 145mm wide and 270mm in length. They have incorporated a generous amount of medium density padding in the area where your sit bones rest on the widest part of the saddle. There is a large anatomical cutout in the center which does a great job keeping the pressure off that sensitive part of the body. The SLR Max Gel Flow is definitely a comfortable option for long periods in the saddle. When viewed from the bottom, you can see the large cutout which makes a big hole in the carbon fiber shell. You can also see the blue shock absorbers where the seat rails attach that are a dense rubber material intended to take the edge off small vibrations. When viewed from the bottom you can see the carbon shell, anatomical cutout, and the blue shock absorbing material at the seat rail connections. From the side, you can see the tip to tail profile of the saddle which is pretty much perfectly flat. There is no cradle to this saddle although there is a small rise by the nose of the saddle at the front of the anatomical channel that you will notice if you get too far forward on the saddle. The tip to tail profile of the SLR Max Gel Flow is pretty darn flat. Looking from the nose to the back of the saddle, the SLR Max Gel Flow has a rounded profile, but the anatomical cutout prevents pressure in the center of the saddle and keeps it on the sit bones where it belongs. The side to side profile of the SLR Max Gel Flow shows the generous anatomical cutout and densely padded wings. On the trail, the SLR Max Gel Flow's performance was highlighted by its seated comfort while pedaling. Testers found this saddle to be comfortable for any length of ride, from a quick backyard lap to a 50-mile gravel grind. The saddle's shape made for an unencumbered pedal stroke, and the medium density padding doesn't take any energy away as you mash on the pedals. Testers felt the SLR Max Gel Flow was best suited to long periods of seated pedaling. The Fibra Tek microfiber seat cover has a good balance of slip and grip, and we found it easy to move around on this saddle when needed. The saddle is 145mm wide, but the rounded nature of the saddle near the tail made it easy to get on and off the saddle in steeper terrain. Testers didn't love riding this saddle through especially technical terrain where they found themselves jockeying their body around on the saddle as the anatomical cutout would occasionally catch them in an uncomfortable way. Otherwise, the SLR Max Gel Flow provided a relatively good and comfortable performance. Durability is one place where the SLR Max Gel Flow lost ground to its competitors. We don't question the quality of craftsmanship of this saddle in any way. It appears to be very well made with high standards and great quality control. The Fibra Tek microfiber seat cover feels quite durable and is made of one piece that wraps around and is attached to the shell under the saddle. There doesn't appear to be any structural stitching on the seat cover, but interestingly there are a couple of exposed stitches, one on each side of the saddle that counters its shape and one on the nose. The reason for this stitching isn't clear, but we're guessing that perhaps it is to add a little texture and grip to the covering. The white seat cover material is prone to discoloration, and is full coverage around the tail, with nothing to protect this expensive saddle in the event of a crash. Our durability gripes with the SLR Max Gel Flow are twofold. First, the white microfiber seat cover is prone to staining and discoloration. Our test model shows signs of permanent discoloration over pretty much the entire thing, but especially where the sit bones exert the most force on the saddle. Second, the tail of the saddle, the area most prone to damage in the event of a crash, has no protection of any kind. The seat cover material wraps around the tail and is attached underneath, leaving this area susceptible to damage should you wipe out. Other saddles that rank higher for durability, like the WTB Volt Race, have abrasion resistant material added to the tails to protect the seat cover from damage. Testers found the SLR Max Gel Flow saddle to be quite versatile, although they generally agreed that it was best suited to applications that involved significant amounts of seated pedaling. This saddle was very comfortable for extended periods, and you could tick the miles away without really noticing it. We feel that it has great crossover potential, or is possibly even better suited, for road and gravel biking for that reason. It works well on the mountain bike, especially if you're not prone to moving around all that much on your saddle. If you do move around a lot on the saddle, the edges of the large anatomical cutout seem quite pronounced, so it is better if you tend to stay on the sweet spot. Testers also noticed that the white seat cover material is prone to discoloration, so people in muddy areas might want to stay away. The tail of the saddle also lacks any sort of protection, so the seat cover material is more vulnerable in the event of a crash. For comparison, our highest scoring saddle for versatility, the Specialized Phenom Comp, was a saddle that could do it all and we wouldn't hesitate to take on any type or length of ride. The SLR Max Gel Flow looks oddly out of place on a mountain bike. We feel it is possibly better suited to road or gravel riding. Weighing in at 251g, the SLR Max Gel Flow falls towards the upper end of the weight spectrum in our test selection. It's not exactly heavy, mind you, but for the $200 asking price we'd hope that it came in at a more competitive weight. It is only 8g heavier than our Editors' Choice Award winner, the Specialized Phenom Comp, but it weighs 41g more than our lightest model, the Tioga Spyder Outland, which costs $80 less at retail. In our opinion, the best applications for the SLR Max Gel Flow saddle are probably road or gravel biking. Testers thought the comfort and performance of this saddle were better suited to cycling where you tend to keep your body in the same position on your saddle for extended periods of time. This is not to say that it's not suitable for mountain biking, because it certainly is, we'd just steer people who ride very technical trails or who tend to move around on their saddle a lot towards something else. At a retail price of $200, the SLR Max Gel Flow saddle is the most expensive saddle in our test selection by $65. It does have name recognition and a tradition of quality associated with it, but in this case, we don't feel that it is a great value, especially because it was outperformed by saddles that cost half as much. Don't get us wrong; it's a good saddle, we'd just rather spend less money on something that we like more. Getting the weight back behind the saddle while testing the SLR Max Gel Flow. It comes at a price, but the Selle Italia SLR Max Gel Flow saddle is a great option for people who spend a lot of time seated and pedaling. Testers loved the shape and pressure relieving anatomical cutout and found this saddle to be great for extended periods of pedaling on the mountain, gravel, or road bike. 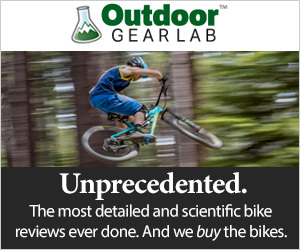 We do feel that it is a little heavy considering the price, and we think white is a terrible color for use on a mountain bike. That said, it's a comfortable option if you tend to spend a lot of time in the saddle and can justify the price. Selle Italia makes a full line of saddles for all types of cycling. There are so many options offered at various price points that it is hard to include any other versions here. Please reference their website at www.selleitalia.com for more information. Amazon $134.97 - 33% off!